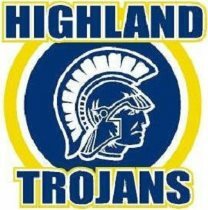 Our Ready Indiana staff recently traveled to Highland High School (Lake County) to talk with parents about their children’s options post-graduation. We were so impressed the Highland guidance team brought parents in to listen to experts on different school, graduation and post-graduation topics. Sometimes we forget that students spend much more time at home than at school — and parents play a major role in students’ decisions! In our session, we defined “middle-skill” jobs and discussed statistics showing those jobs are most in-demand in Indiana right now. We demoed www.IndianaSkills.com and also discussed the Technical Honors Diploma. We were pleased with the interest parents had in learning about ALL the options their student has during and after high school. We hope high schools that don’t have a similar program in place consider reaching out to parents with this information so they can help their student make informed post-graduation choices. This entry was posted in Education and tagged Education, highland, indiana, indiana skills, Ready Indiana, technical honors diploma by Katie Coffin. Bookmark the permalink.